I am determined to eat healthier. I like healthy food but I also like bad food. It’s the bad that has gotten me into trouble. I usually make bad choices at lunchtime. As a mom who works outside of the home, I don’t always remember to bring my lunch to work. And then I’m forced to buy lunch. And when I’m in a rush, it’s easier to make poor food decisions. But I’m working on it. Two weeks ago I discovered a new salad place – Fresh & Co – a quick walk away from my office. I love that I can order on line and then walk to pick up. 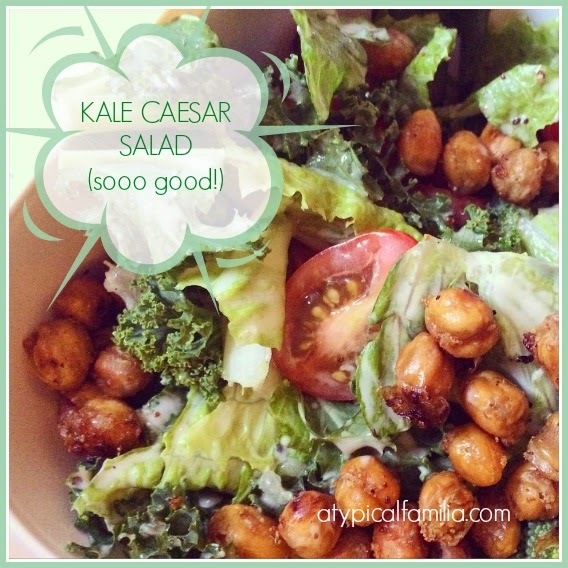 I’ve ordered from them 4 times and each time I order the same thing: Kale Caesar salad. And after all the extras, my salad is between $10 – $12. I don’t know about you but it always hurts me a little to spend so much money at lunch especially salad because I could buy the ingredients for less than 20 bucks and have lunch for a few days. When I order my salad I usually add chickpeas and chicken. And one of the things I love about a Caesar salad are the big crunchy croutons but in making healthier decisions, I wanted to cut out the croutons. 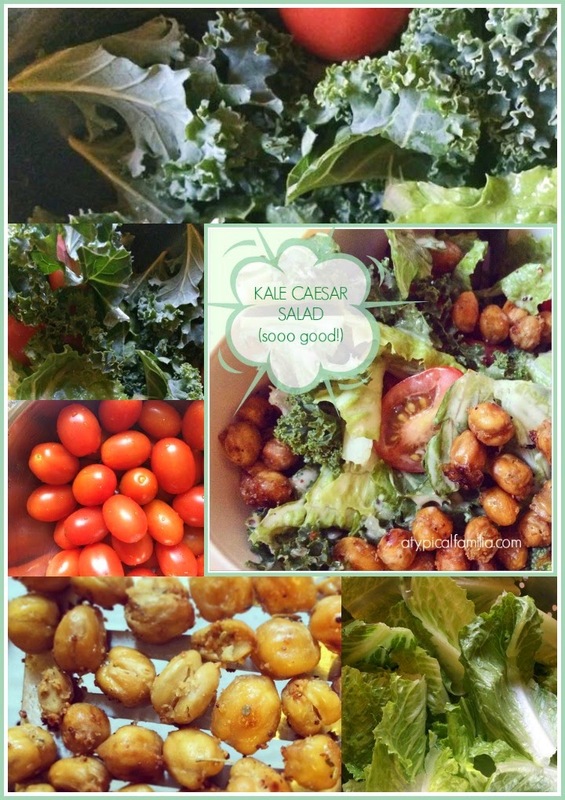 I decided to roast the chickpeas so my salad still had a crunch. 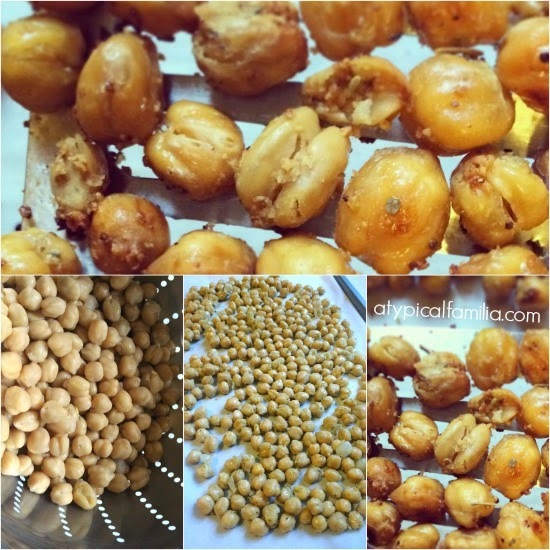 You guys – if you love chick peas like I do and never had them roasted – you are missing out. Roasted chickpeas are now my new obsession. And super easy to make. whatever seasonings you like – I used salt, pepper, garlic (w parsley) and Italian seasoning. Next time I may sprinkle some Parmesan cheese mid way. Preheat oven to 400 – 425. Toss chickpeas with olive oil and desired seasonings. Place on a cookie sheet lined with parchment paper. Roast for 20 minutes. Turn and continue for another 20 25 minutes. Keep checking. I skipped the parmesan cheese but feel free to add. Other add ins: cucumbers, peppers, broccoli or grilled chickenIf you can wash, chop and prep all the ingredients on Sunday, you can build a few salads during the week. This is perfect for lunch and/or a quick after work dinner. This looks tastey as hell!